Interview, by Mike Stephenson, of this soul/ blues writer, producer and keyboard player took place in Jackson, Mississippi, in September 2011. Many thanks go to Peggy Brown for arranging the interview. Could we start off by you describing your early days and how you got into music and work from there? Well I’m from, Chattanooga, Tennessee, I was born and raised there and I didn’t know I had an interest in music in fact I liked sports. I was born in the city of Chattanooga went to elementary school and then grade school and when I got to junior high my parents bought some real estate out in the county so we went to the county and bought a house out in the country and I had to change schools to Booker T Washington school and the fist week I was there the principle said we were going to have a band and I joined it. The band director interviewed all the students that wanted to be in the band and asked them what instrument they wanted to play and I said I wanted to play the saxophone because at the time Little Richard, Fats Domino, James Brown when you saw them on stage they had a string of saxophones backing them. So I told my dad and we went to a music shop one weekend and there was this saxophone looking real pretty and shiny but the price was $2000 so my dad said he couldn’t afford it on his salary and would I want anything else which I didn’t. So just as we were leaving the music shop a guy called us over and we looked up on the wall and there was a cornet which is a forerunner of the trumpet it’s like a short trumpet and he let us have it for $124 at $6 a week so my dad jumped on that. So we took it home and I practiced day and night, day and night until I got a feel of it. So that’s my beginning and I went on to be the first trumpeter in the high school band. People used to ask me why I practiced so much and my dada used to get irritable when he had been drinking beer and my mother didn’t want him to drink so I didn’t want to hear them fussing so I would go out on the porch and play as loud as I could so that’s why I got my chops which is a term trumpet players use. The louder and higher you can play that builds your chops. So pretty soon I got good at it. The high school band played on the radio station every Saturday and we had a little group called The Bopnaires and that’s how I got introduced into playing blues and I just liked the whole scene. I was about seventeen at the time and there was this little club called Behind The Moon and it opened at midnight and the club owner wanted The Bopnaires to play there as he had heard us on the radio and he offered us $10 a piece. I was so young so to this day that is why I wear a beard because back then the black teenagers and be boppers wore white shoes with black soles like Elvis and they would take the black dressing and put around the soles of the shoes so I would take the shoe polish and paint myself a beard so as to make me look older to get into the club. We had people come from all over to hear us play. Later on I really got serious with music and my band director who was a trumpet player who was named Erskine Peoples really encouraged me and took me under his wing and by eleventh grade I was playing solo trumpet and I was playing so well that the city band director, Doc Kendricks, invited me to come in and sit with them and he encouraged me to change schools to a big high school in Chattanooga to be with them. So between Doc Hendricks and Erskine Peoples word had got around about me being a good player. So to rap this up on how I got started every year by me being a Tenneseean Nashville is the capital of Tennessee and every year they would invite all the different bands from all the little towns to come to Nashville to participate in the All State Band. So our high school band was chosen to attend and when we got there I was called to perform with the All State Band and when I got back to Chattanooga I was offered seven scholarships to Tennessee State University out of Nashville and that’s how I got set up and went to college and then played with different bands in that area. I’m a trained musician. I got a degree in music education but if I knew then what I know now I would have just majored in performance just playing because I wanted to be a Miles Davis but there were so many trumpet players then so I had to take some education courses but didn’t do to well in those. How did you then get into the music scene and performing? Nashville is known as a country music town but there was a record company there called WLAC Records which at that time in the early sixties and it was run by two gentlemen Bill Hoss Allen and John Richburg and they were dj’s at that station and they played all black music and by them being a 100 Watt station you could hear them everywhere and they had a record company named Randy’s Records and at night they would play records and tell you to come down to the store and buy Jimmy Reed’s latest record and I thought these two guys were black and they kept black music alive. In my years at Tennessee State we had a band there called The King Casuals and I was walking down the street on e day after having lunch with my trumpet under my arm and this black Cadillac pulled up alongside me and I used to wear my pants real high back them and they used to call me pockets. This voice came out of the Cadillac asking me if I wanted a gig and it turned out to be Earl Gaines and he said he was going to Jackson, Tennessee and he would pay $15 and he would feed me. So I jumped at it and we headed for Jackson and in his band then was a older guy playing saxophone named Shaky and I learnt a lot from him. I didn’t know any of Earls’ music so before each song Shaky would run over to me and tell me what key it was in and things. Earl was pretty impressed with what I did and they then started calling me Cap which was short for Calloway so that’s how I got that nickname. Earl was signed up to Excello Records back then which was run by Hoss Allen’s mother and Earl told the label about me and when Earl got ready to learn a new song he would bring me the song and asked me to do the arrangements for the band and that’s how I got into arrangement. Now Excello had several different artists one being Roscoe Shelton and they asked me to arrange songs for him and they were going to Muscle Shoals Fame recording studios one weekend and they wanted me to arrange a song for the horns and the rhythm section for Shelton. They paid me $150 for that song called ‘Strain On My Heart’ and they put that record out and it went to number one and folks started asking who had done the music for the number. It just started happening after that for me and I started getting a lot of recognition and people like Bobby Bland and B.B. King he wanted me to go out and play with him but I was still at college then and my mother would have killed me if I had done that so I stayed on at school and I am glad I did. I met the likes of Jimmy Hendrix and Billy Cox and we had this club that we played at when I was still at college in Nashville in a small band. So when I did that arranging for Roscoe Shelton that made me want to do more arranging rather just playing the trumpet. Did you do anything else with any other Excello artists? I did stuff with Earl Gaines and Frank And The Dynamics and I did arrangements for both Earl and Roscoe. I did several songs on Earl but I can’t remember what they were. I did teach music for two years at Booker Washington high school but after that I went back to Nashville and we started up the King Casuals band again and we played at the New Era club and al the different artists that would come to Nashville to perform after they got through performing would come down to this club and sit in with our band. We had Mille Jackson, Joe Tex, Freddy Scott, Mittie Collier and many more sit in with us and word got around that I was back. On Saturdays and Sundays we had what we called a matinee and all the young ladies from the colleges would come out and hear us play from 2 to 6. On Sundays we would never allow other musicians to come in and play with us it was just our band playing the matinee. One Sunday there was this light skinned tall guy with a guitar and he walked up to the bandstand and asked if he could sit in and the band leader who was the guitar player Johnny Jones, the band consisted of Harold Nesbit, Harvey Thompson, Aaron Fonell and Billy Cox, so this guy asked if he could sit in. So he took his guitar and started walking out the door. He had an army uniform on and the club owner asked us to let him sit in. The band leader looked at me and we did one of the hardest songs to play called ‘Our Day Will Come’ and speeded it up and this guitar player took this great solo which made us all look. After he had done that he packed up his guitar was just about to walk out the door and the club owner asked who he was and he replied Jimmy Hendrix and two weeks after that he was discharged out of the army and he came back and played with us for about six months. Then Little Richard came through town and heard him play and hired him. How did things develop for you from there? Aaron Fonell came down to Muscle Shoals where I did that Roscoe Shelton number. He came down to work for Fame Records and Rick Hall and Aaron put a little section together to record and Rick remembered me from doing the session on Roscoe and Rick asked me to do some work for him at the studio and do some arrangements and sent me a $500 advance to do some recordings on Clarence Carter. So we did ‘Slip Away’ and ‘Patches’ and that got me started there. Now Jimmy Johnson and them had a group called The Muscle Shoals Rhythm Section and they at the time were working for Rick Hall at Fame Records under his supervision and later on they formed their own group. Rick had us under contract for about a year and we did Donny Osmond and The Osmonds. I did arrangements for those artists and we had Wilson Pickett, Candi Staton, Mack Davis and we were on a roll then. I was doing the writing and arranging for these artists and my contract was nearly at an end and I thought when the contract was over I could charge whatever I liked for the arrangements. So I formed the group The Muscle Shoals Horns and we worked independently out of Alabama and Nashville and some of my greatest works were country and with the Oak Ridge Boys. I’m the first arranger that tried to double the baritone saxophone with a bass singer on ‘Elvira’ so I got into country with the horns. So when Rick relieved us from our contract that enabled us to work with Jimmy Johnson who had moved across town under the supervision of Jerry Wexler and he loved us. Now Rick wanted us to move to Alabama and he would help us get a house and he offered us a lot of money to move to Alabama. So it started growing from there. How long were you with the Muscle Shoals crew? I was with them up to 1996. I was making so much money and I had a bad turn in my life like a lot of musicians do that was a drug thing. I turned fro the bad. Now Malaco Records in Jackson, Mississippi, heard about my writing after working with Fame for all those years. Being independent I could go anywhere I wanted so the head of Malaco Records Tommy Couch Sr, He called me and at the time my horn section was backing up a country singer called Lee Greenwood in Alabama and Mr. Couch called me and asked me to come to Jackson as he had some work for the group. So we came to Jackson and at that time he had an artist named Z.Z. 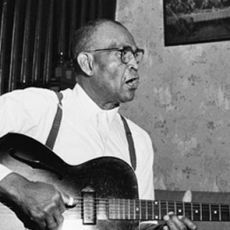 Hill who hit big with that song called ‘Down Home Blues’. So we went there and did some songs and arranging with Z.Z. We did that whole album ‘Down Home Blues’ and it hit big time it stayed in the charts for 152 weeks and that opened up a thing for me in Jackson. Just to clarify things I was the founder of the Muscle Shoals Horns and I was playing trumpet and I was an arranger as well. When I came to Malaco there were people like Dorothy Moore and Frederick Knight and he had a song out on Anita Ward called ‘Ring My Bell’. I just fell in love with Mississippi and Malaco took me under their wing after I started having personal troubles in Alabama. Me and my wife got a divorce in 1982 and I moved to Jackson then and I’ve been here in Jackson ever since. When you were at Muscle Shoals studio could you recall who you wrote, arranged and recorded with before Malaco? Like I said Jerry Wexler would bring all his clients to Muscle Shoals they would come to Rick’s place and Jimmy Johnson and the Muscle Shoals rhythm section they got tired of Rick being so demanding and they moved across town and formed a studio named Muscle Shoals Sounds. We were still working for Rick but not under contract. So that meant I had access to whatever artists Wexler bought to Jimmy Johnson and he would say that he wanted the same guys that played over at Fame studios to play horns on the sessions and he wanted me to do the arrangements. Now at Fame we already had Candi Stanton, Clarence Carter, Wilson Pickett, Mack Davis, The Osmonds and Jimmy Johnson had Bob Seger, Bobby Womack, The Staple Singers and all the people started leaving fame and going over to Muscle Shoals Sounds to record. So I was in both studios. In 1996 I had a disaster I had dental problems and I couldn’t hit the notes so I wondered what I was going to do so I went back to what I started out on and that was the piano and modern technology now allows me to play the whole score through the computor and piano. Malaco records eventually bought out Muscle Shoals Sounds. They bought the publishing and the studio so by me living here in Jackson I was still able to go back and forth to Muscle Shoals and record for Malaco. Now something I haven’t said is that The Muscle Shoals Horns we had three albums out on us. One was on Monument Records out of Nashville, one was with Bang Records produced by Barry Becket who used to be in the rhythm section at Muscle Shoals it was called ‘Born To Get Down’. In the later days we did another album in California for Ariola and Arthur Alexander had the title song on that CD. When at Malaco who did you record and arrange with and for? The first big song I did with Malaco was with Wardell Quezergue, who has just passed, before I got there he was doing a lot of arranging for Malaco and I played on some of his arrangements and when I moved here Malaco they set me up for all their artists. That’s where I met the likes of Bobby Bland and we did ‘Members Only’ and ‘Memphis Sunday Morning’ I did the arrangements on those and I was part of most of his other recordings for the label, they signed Johnnie Taylor up in 1982 then we already had Z.Z. Hill and we had Dorothy Moore and her ‘Misty Blue’ I played trumpet on that but didn’t do the arrangements on it that was Wardell who did that. I got chance to both play and arrange for Z.Z. Hill. I worked with Shirley Brown, Denise LaSalle I did ‘Trapped By This Thing Called Love’ with her. I did three or four CDs with Z.Z. Hill at Malaco. Johnnie Taylor I did four or five CDs with him. I’m on the ‘Good Love’ CD which was really big for him. Me and George Jackson were good friends and we still talk almost daily even now and he is a great song writer and we worked together at Malaco. There was also Rue Davis who is another friend of mine and Malaco signed him up as a writer Rue and I started co writing and that’s when I got off into the lyrics. Who has been your favourite artist over the years? Oh I really enjoyed working with Bobby Womack and he would ask me to write things out for him. I did ‘Harry Hippy’, ‘I’m Looking For A Love’ with him he was on United Artists at that time. I also got a chance to work with the Staple Singers. Are you still active these days? We had a big event here in Jackson at The Alamo Theatre in Farish Street. The Mississippi Jazz Foundation have a yearly event and I was nominated last year for the Lifetime Achievement award. I’m currently Dorothy Moore’s band leader. About four years ago I got a call from Tommy Couch at Malaco. He said that some folks were coming to town to do work on the film ‘The Help’. It’s about a black maid taking care of white folks kids. They say the producer of the movie like one of the songs from Dorothy Norwood called ‘Victory Is Mine’. They wanted me to play the piano on the number and I didn’t think much more about it. I went over to Malaco’s offices some weeks back and they told me that that song is in the movie. On a negative with the new soul/ blues scene they use synthezisers and they use synthesied horns and a lot of the artists are going for that and it stopped my working the soul/ blues artists aren’t taking big horn sections out anymore so that has really cut into my and the Muscle Shoals Horns livelihood. Malaco didn’t believe in the synthetic they always kept live horns so when I moved here that enabled me to keep writing and playing and still survive. But for about four or five years it was a struggle but since I’ve learnt a little bit about the technology I have at a studio here owned by a friend of mine named Forrest Gordon we have come up with my own horn section. I have gone into the computor and created by own horn section just as I would have done with a real horn section. So I use that now. I’m still with Malaco and me and George Jackson did a couple of demos last week so I’m still associated with them but the Tornado that came through here recently wiped the studio out. I don’t play trumpet anymore I play the keyboards now. You did some work with the late Johnny Vincent? When I was working at Malaco there was a about a year or so something happened with us and we had a falling out for a couple of years and I went to work with Johnny. Malaco told me that until I straightened a few problems out they couldn’t use me so I went to Johnnie and we came up with Ronnie Lovejoy and his ‘Sure Wasn’t Me’, Willie Clayton and his ‘Three People Sleeping In My Bed’, Willie Clayton and Pat Brown ‘Equal Opportunity’. I was part of all that arranging and playing. I went back to Malaco for the Johnnie Taylor ‘Good Love’ album. I didn’t mention some of the things that happened in Nashville. One of the producers in Nashville heard about our horn section and they wanted to put some horns on country music which hadn’t been tried before. So we went to Nashville and we met up with the Oak Ridge Boys and they were big in country. The producer wanted to put some horns on some of their numbers and we thought that it was funny but we did it and recorded ‘Elvira’ and it was a huge hit. I’m now in the Country Music Hall Of Fame, my horn section the Muscle Shoals Horns.